All Hallows Eve has long been over. By now, you should have all returned to a normalcy after the inevitable candy bloat. The sugar high has died down and visions of ghosts and ghouls are being replaced by delicious dinners and brightly wrapped presents. I love the holidays just as much as the next person, but I’d be lying if I said I don’t have a soft spot for Halloween. Thankfully, there are a plethora of horror games to keep us on edge no matter what time of the year it is. 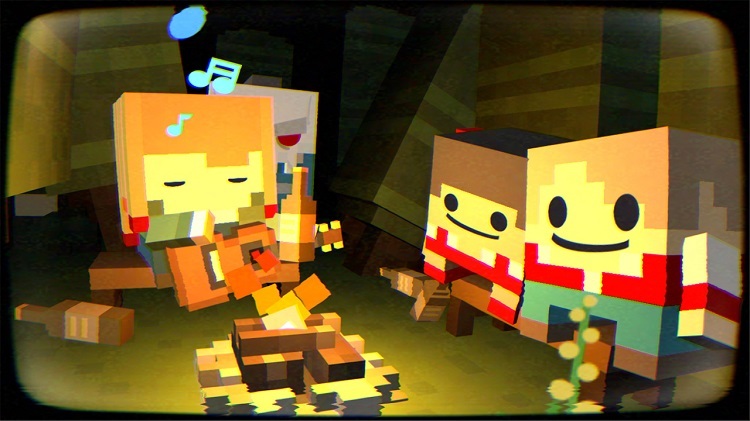 Case in point: Slayaway Camp, a humorous horror puzzler from developer Blue Wizard Digital. Remember those curious “ice sliding” puzzles featured in certain RPG releases? Pokemon showcased these mind-benders in a few of its generations’ levels. The basic premise has your character sliding in one direction until they strike an obstacle or coast into a goal. You’re given no opportunity to move your character once they start gliding. Slayaway Camp uses this formula to create the core of its gameplay. Beyond that, developers managed to cram in some rather interesting elements. This isn’t just another mini-game or a small event within a much larger adventure. Slayaway Camp is a sliding puzzle from start to finish, and developers did a great job in elevating the concept so that it feels like its own standalone entity. You’ll take control of a serial killer, cast in a cliche ’80s style horror film (we’re looking at you, Friday the 13th). You’re tasked with eliminating all of the innocent campers in a given level. It starts out simple at first, giving you two options to slay your targets. You can slice and dice a camper by sliding directly into them, or simply sliding up beside them. Performing either maneuver will cause your character to stop in his tracks, although it is important to note that landing next to a character will scare them and cause them to flee in the opposite direction. You’ll need to take full advantage of this mechanic if you have any hopes of spilling blood. Gameplay will escalate as you get further along your journey. Obstacles and walls are added to hinder your progress, making each puzzle more elaborate. You’ll find yourself using environmental hazards to off the campers. Bookshelves can be pushed onto unsuspecting innocents and some campers can be scared into sharp objects or other dangers. You’ll face dangers as a killer, though. Avoiding all of the surrounding hazards isn’t enough — you’ll have to outrun the police as well. 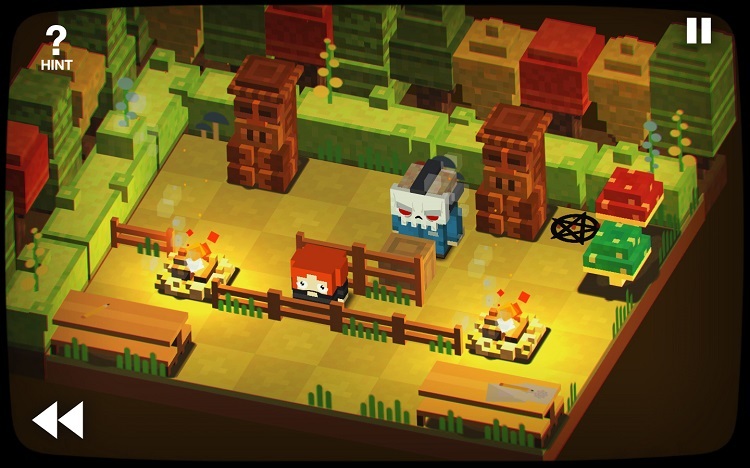 Slayaway Camp‘s visuals lie somewhere between Crossy Road and slasher film. The environment, objects, and characters, are all “voxel-y” in design, with jagged edges and pixelated details. The colors are very rich, and developers managed to pack a lot of visual detail into each stage. The killer himself is an adorable little square blob, complete with a terrifying (but non-copyright infringing) mask. What really makes Slayaway Camp so special are the character animations. The “gore” (if you can call it that) is over the top. Your victims will squish, squash, and explode into massive sprays of blood, leaving only bones in their wake. Some campers meet terrible fates by way of classic environmental hazards, while others are bludgeoned and sliced to death by a menacing killer at large. It’s hilarious at times, the perfect mixture between horror and humor, with vibes similar to 1980s horror films. The film homage was done with purpose, and it reverberates throughout the title. The intros, level designs, and voice-overs are all meant to mimic popular slasher hits from yesteryear. Even the settings screen follows this general theme by looking like a old-school television menu. Developers did a fantastic job in incorporating this look and feel throughout, and the finished product manages to add another layer of humor to an already bone-tickling adventure. On top of all these goodies you’ll find unlockables, both visual and playable. “Deleted Scenes” serve as extra-difficult puzzles, for those of you looking to really test your wits. Even if the sliding puzzles from Pokemon and The Legend of Zelda series infuriated you to no end, you should find something to enjoy in Slayaway Camp. Thanks to the hilarious visuals, great animations, and engaging gameplay elements, it manages to feel much more like a unique puzzle experience than some knock-off mini-game. I’m very impressed with what Blue Wizard Digital has put together, and this is easily one of the better puzzle titles I’ve played in recent weeks. You can grab Slayaway Camp right now on Steam for $8.99. For more information regarding this stellar puzzle release, be sure to check out the dedicated website here. You can also follow developers on Twitter, Facebook, and the Blue Wizard Digital homepage. 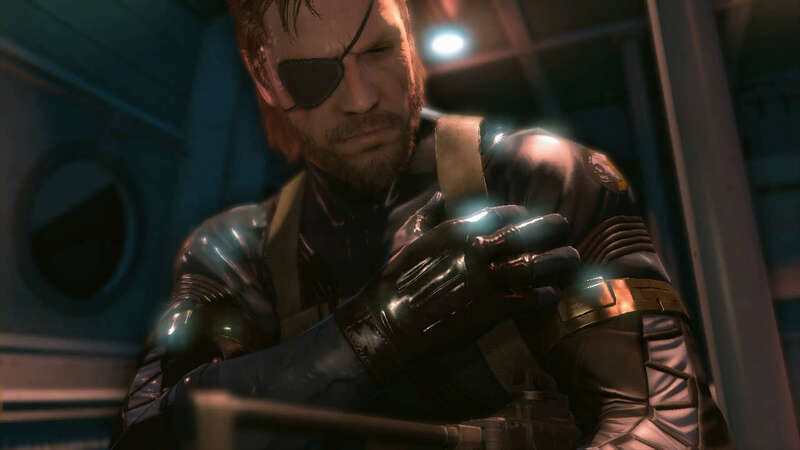 Metal Gear Solid: Ground Zeroes – The Start Of Something Different?